You may feel like the details of your physical pain, financial expenses, lost opportunities, and inconveniences will be forever etched in your brain. However, while the overall feeling is one that you are unlikely ever to forget, important details can easily be lost as time passes. It is these details that may be important to proving the value of your damages and legal recovery. Therefore, even though you don’t want to remember this difficult time and even though you don’t want one more thing to do, now may be the perfect time to start keeping a journal. A description of the accident. This should be done on the day of the crash or as soon as possible after the wreck. Include as many details as possible about the accident. A description of how your injuries are impacting your life. This may include a description of the pain you are experiencing, events you miss, things that you cannot do independently, and the emotions you experience because of the pain or physical restrictions of your injury. A calendar of medical appointments. Document every doctor’s appointment, medical test, physical therapy appointment, or other appointment related to your accident injuries. You may keep this journal on your phone, on your computer, in a paper notebook or in any form that is convenient and easy for you. 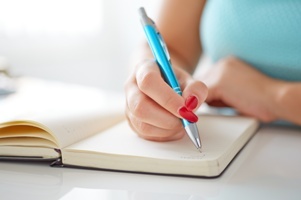 Journaling is typically a private activity. However, in order to be effective in your personal injury case, your car accident journal should be shared with your car accident lawyer. Do not share the journal with anyone else unless your lawyer tells you to do so. For more tips about protecting your car accident recovery, please contact our experienced Kentucky car accident lawyers today for a free and confidential consultation. We welcome your call or online chat any time—24/7/365. What Can I Do to Protect My Kentucky Personal Injury Claim After a Serious Accident in Louisville?